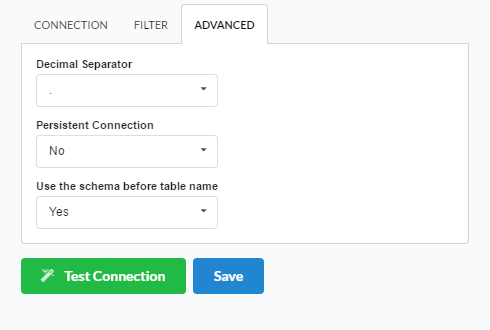 The ODBC Generic connection is normally used to create connections with the databases: dBase (.dbf), Dataflex, Paradox, Visual FoxPro, etc. 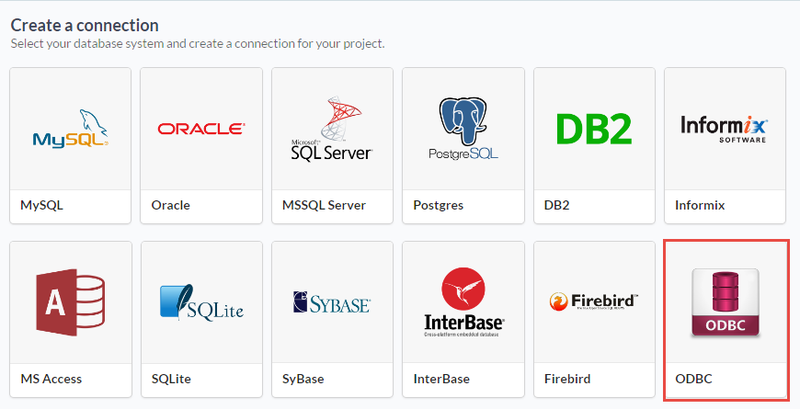 You only need have the corresponding ODBC driver with the database installed. If you are using your own preconfigured environment, you will need to enable the ODBC extension in PHP. The automatic installation already comes with the ODBC only needing to install the UnixODBC driver so that you can do the connection. DBMS Driver : Select the Generic ODBC. 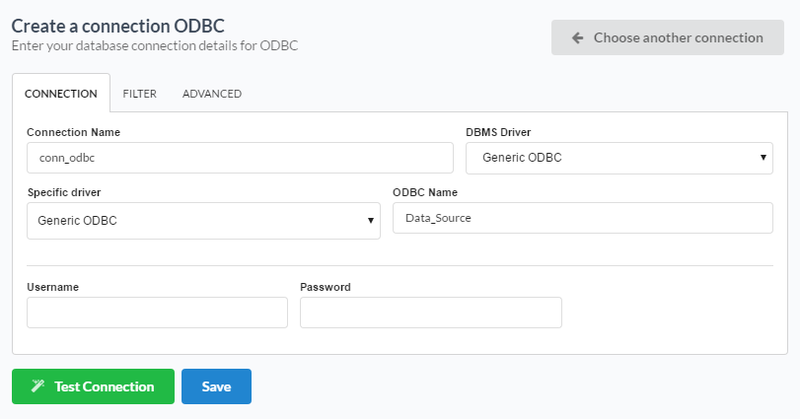 Specific driver : Defined as Generic ODBC, allows you to connect to specific Data Sources: DBF, FileMaker, Progress or Visual FoxPro. ODBC Name : On this option, you will inform the name of the Data Source that you have created. Username : Inform the username of the Linux database, only if there are any. Password : Inform the password of the Linux database, only if there are any.